"The outstanding interest of the Piltdown skull is the confirmation it affords of the view that in the evolution of Man the brain led the way." Shortly before Christmas 1912, a remarkable fragmentary skull was presented at a widely attended meeting of the Geological Society of London. The discovery had been made by Charles Dawson, a solicitor and an amateur geologist and archaeologist, who had recovered seven pieces of the skull during the preceding four years from a gravel pit near Piltdown Common, in East Sussex. From 1913 to 1915, additional skull fragments appeared at Piltdown and two other nearby locations, including some from at least one other individual. Because the unprecedented fossil appeared to be a "missing link" that was intermediary between apes and humans, it was given a new scientific name, Eoanthropus dawsoni ("Dawson's dawn-man"), more commonly known as "Piltdown Man." The announcement caused great excitement among British scientists, who claimed that its antiquity proved that humans had originated in the British Isles. Piltdown had just become the most important site anywhere for studying the early evolution of humans. It would be over four decades before the world would learn that Piltdown Man was a fraudulent specimen that had been assembled from a modern human braincase and the lower jaw of an orangutan and that both had been stained to appear as if they were from the same individual. The most characteristic parts of the ape jaw, near the chin and farther back where it hinges with the skull, were missing, and the teeth had been deliberately filed to look more like those of humans. The gravel pit had also been salted with stone tools and fragments of fossilized hippopotamus, deer, horse, and mastodon from other places, which gave the false impression that the skull was very ancient. But at the time, Piltdown Man seemed real. Even though potentially revealing features of the jaw were missing, what remained still looked significantly apelike. Anatomists had to reassemble fragments from the broken cranium and fill in the missing portions of the jaw in order to fit the pieces together. Some scientists favored a restoration that had a more apish jaw but with hinges that were humanlike enough to attach to the cranium. Others preferred to make the missing parts of the jaw appear more humanlike. Although the scientists argued heatedly about these details, all of the Piltdown restorations resulted in some combination of humanlike and apelike features. A mixture of traits, after all, was expected for a missing link. Despite their quibbles over the skull's details, most scholars embraced Piltdown as a legitimate human fossil-at least until 1953, when tests of the amount of nitrogen and fluorine in the Piltdown remains revealed that the cranium was older than the lower jaw. This unleashed further investigations that eventually showed the extent of the fraud: "There did not appear to be a single specimen in the entire Piltdown collection of hominoid bones, associated fauna, and cultural remains that had genuinely originated from Piltdown." In hindsight and considering the "seemingly ludicrous marriage of an orangutan mandible to a palpably modern human braincase," the length of time it took for the hoax to be exposed was remarkably long. There were, however, understandable reasons why Piltdown had been accepted as an ancestor. By the time of the Piltdown announcement, Charles Darwin's general ideas about evolution had been published for slightly over half a century and had gained wide acceptance among scholars. Paleontologists were on the lookout for missing links that would support Darwin's theories about human evolution, and several specimens had appeared as possible candidates. 1n 1891, the Dutch anatomist Eugene Dubois had discovered remains in Java that he christened Pithecanthropus erectus ("the ape-man that stood upright," now Homo erectus), or Java Man. The skullcap of this new species was not only small but also long, low, and thick, which made its potential role as a human forerunner highly contentious. Just three months before Piltdown was unveiled, Pithecanthropus was rejected as a human ancestor in a report to the International Congress of Anthropology and Prehistoric Archaeology in Geneva, by the influential French paleontologist Marcellin Boule, who echoed the earlier opinion of the German pathologist Rudolf Virchow by claiming it was nothing more than an extinct gibbon. While he was at it, Boule eliminated another potential human ancestor, the big-brained but primitive looking Neanderthals from Europe, which he thought should be dropped entirely from the human family tree. Under these circumstances and despite disagreements about the details of Piltdown's restoration, it is understandable that most of the leading scholars in British paleoanthropology eagerly accepted the discovery of a missing link from their very own gravel beds as "the most important ever made in England, and of equal, if not of greater importance than any other yet made, either at home or abroad." The main thing that convinced these scientists of Piltdown's significance was its modern human braincase, because it fit better than the skulls of either Pithecanthropus or Neanderthal with prevailing expectations of how a very old missing link should look. 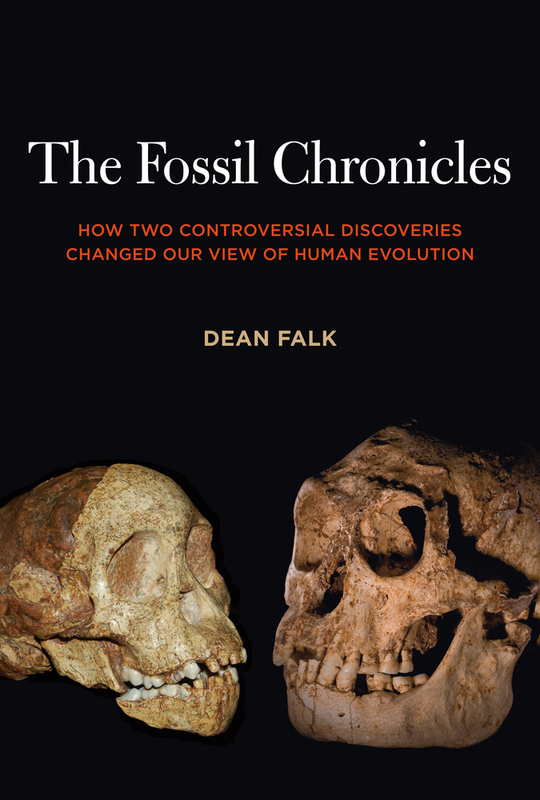 Having been personally embroiled in controversies surrounding the two hominins that are the focus of this book, I was nonetheless surprised to learn from the Piltdown episode that the passionate fights and acrimony that accompany the science of paleoanthropology are nothing new. Many of the paleoanthropologists who were players (or were "played") in the Piltdown episode were every bit as adamant and defensive about their favored evolutionary theories as some who practice in the field today. Another thing that may have been true then, as I believe it is now, is that the closer to the brain (or braincase) one's prized specimen is, the more intense the debates about its interpretation. The brain makes us human, and the uniqueness of humanity has always been at the heart of the boisterous debates about human origins. The disagreement between two leading scientists, Arthur Smith Woodward and Arthur Keith, about how to reconstruct Piltdown Man shows just how acrimonious these debates can be. Woodward had first crack, having been invited by Dawson to supervise the initial reconstruction and description of the fossil. Appropriately enough (since the mandible was from an orangutan), Woodward reconstructed the missing front parts of Piltdown's lower jaw to be consistent with the rest of its apelike morphology. His reconstruction therefore had large projecting canines. When Keith set out to "correct" Woodward's reconstruction, he focused on Piltdown's braincase, which he rightly believed Woodward had made too small. In his version of the skull, Keith expanded Piltdown's braincase and, reasoning that an ancestor with such a modern-looking braincase couldn't have such an apelike jaw, reconstructed the Piltdown jaw, including its canines, to be more humanlike. In a sense, both scientists were right: Woodward's reconstruction of the ape jaw was appropriate, as was Keith's reconstruction of the human cranium. The difference between his model and that of Woodward's, he declared, was not "simply a matter of opinion, but a principle of the most elementary fact". Seizing Woodward's model and holding it up to his audience, Keith is reported to have said with "infinite scorn", that such an individual would have been prevented not only from eating but also breathing! "If a student had brought up a skull like this one, he would have been rejected for a couple of years", he added mockingly. he did not think his audience quite realized the importance of the Piltdown skull. It brought home the incontrovertible fact that at the commencement of the Pleistocene, or perhaps more accurately at the end of the Pliocene, the human brain had reached its full size. This fact, he said, opened up a new insight into our past-"a vista of human cultures coming struggling to us over perhaps a million of years." Dawson, however, was unimpressed. "When we have done with the pick and shovel," he told a reporter, "it will be quite time enough to call in the doctors." Sure enough, a mere nine days after the meeting at the Royal College, "proof" of the accuracy of Woodward's apelike reconstruction of the jaw came in the form of a new discovery from the gravels (made by the French Jesuit priest Father Teilhard de Chardin)-a supposed right lower canine from the Piltdown mandible! In 1953 this tooth would be shown to have been filed and stained to match the color of the Piltdown remains. Meanwhile, it contributed to the ongoing acrimony among scholars who had become "dug in" about their particular views of Piltdown. The 1913 controversy inspired an oil painting, The Piltdown Committee, by John Cooke, which was unveiled at the annual exhibition of the Royal Academy in London in May 1915 (figure 1). As "a celebration of the induction of the 'earliest Englishman' into the annals of British science" and "because it neatly captured the underlying geometry of the Piltdown controversy," the now famous painting created a stir and was reputed to be the highlight of the exhibition. In keeping with the widely publicized debate, Cooke depicts Arthur Keith demonstrating Piltdown's large braincase, as Elliot Smith points to it approvingly. Standing behind Keith and to his left, the most likely mastermind of the hoax (as discussed below), Charles Dawson, looks on with his colleague Arthur Woodward, as the latter's reconstruction is being "corrected" by Keith. While most scientists accepted Piltdown as a legitimate missing link and were arguing about how it should best be reconstructed, militant fundamentalists were denouncing it as a fraud. In 1923, for example, the orator and politician William Jennings Bryan, who would later act as counsel for the prosecution in the infamous Scopes trial against teaching evolution in public schools, ridiculed paleontologists in an address to the West Virginia state legislature: "The evolutionists have attempted to prove by circumstantial evidence (resemblances) that man is descended from the brute. ... If they find a stray tooth in a gravel pit, they hold a conclave and fashion a creature such as they suppose the possessor of the tooth to have been, and then they shout derisively at Moses." Ironically, the fundamentalists proved to be way ahead of the scientists about this particular "discovery." In 1912 when Piltdown was causing such a stir, 19-year-old Raymond Arthur Dart, who had been brought up as a religious fundamentalist, was experiencing his "first frank confrontation with evolutionary ideas" as a biology student at the University of Queensland, in Australia. Dart was raised on a cattle farm in a pioneer family of devout Methodists and Baptists, and his childhood ambition was to become a medical missionary. From an early age, he had a "passion for learning and books," and he remained a self-described bookworm as an adult. Dart also had a childhood interest in anatomy. His brothers, for example, returned from the field one day to find that Raymond had neglected his chores in order to dissect a rooster. In 1912, Dart had no way of knowing that he would discover what was to become the world's most famous fossil or of knowing the prolonged negative effect that the Piltdown discovery would have on the reception to his find. even as Dart often read the Bible to his two children, it had earlier been agreed between Marjorie [Dart's wife] and himself not to christen and register them in a particular church but, rather, to wait and allow them to attend the Sunday school of various denominations and, eventually, join the church of preference. The couple made a strong point to instruct the children against prejudice of certain religions be they Catholic or Protestant, Jewish or Islam. Importantly, they took care not to promote political or racial bias in the children's minds. Like Charles Darwin, who once intended to become an English country clergyman, and Louis Leakey, the famous paleontologist who had youthful ambitions of becoming a missionary, Dart came to see discrepancies between fundamentalism and facts. Regardless of his waning orthodoxy, Dart's early instruction seems to have had a positive effect, because today he is remembered "for his dynamic character, his unflinching forthrightness, his personal interest in and desire to help every student ... his infectious confidence, his encouragement of criticism, even of himself ... his keen sense of humour and his ability 'to take it with a smile.'" Dart's personal and professional papers, which are archived at the University of Witwatersrand, Johannesburg, reveal that he was a gentle, intellectual, and private soul who retained a life-long inquisitiveness about nature. As Dart described it, 1914 was a "momentous year." Having received a degree with honors in biology from the University of Queensland, and although he was still working on a master's of science degree, he entered medical school at the University of Sydney. In light of his boyhood experiences with dissection, it is not surprising that Dart excelled at human anatomy and became particularly interested in the nervous system. In August, the British Association for the Advancement of Science held an international congress in Sydney, which was attended by, among other luminaries, the Australian-born Grafton Elliot Smith, a world-renowned anatomist and anthropologist. Elliot Smith had traveled from Manchester, England, where he was chair of anatomy, and Dart recalled that he gave a "brilliant public lecture on the evolution of the human fore-brain. It was in simple language by this resplendent red-gowned imposing graduate of our very own university and school." Impressed by Elliot Smith, Dart made a vow: "Neurology-how the brain had come to be as we found it, could anything more be discovered about it and its workings? This had long since become my main life objective; and the dream-world already spontaneously fashioned was to join Dr Grafton Elliot Smith after the war years were over and to spend a lifetime alongside him finding out whatever one could, of what one needed to know about the head and its brain." Dart's dream became real after he graduated from medical school in 1917 and served overseas in the Australian Army Medical Corps. Elliot Smith, who had moved to University College, London, was expanding the Department of Anatomy there and "shocked" Dart by appointing him to be his first senior demonstrator. In 1919, University College was coming into its heyday. With generous support from the Rockefeller Foundation in the United States, new buildings were erected to enhance the medical sciences, and other facilities were enlarged. Elliot Smith was training a generation of young anatomists who eventually assumed key positions in far-off places such as Hong Kong and Beijing (then Peking). By 1922, he was also incrementally increasing the staff of the Department of Anatomy, where Dart had become a lecturer in histology and embryology. The comparative anatomical, osteological, and fossil collections in London were superb, as were the libraries. Dart recalled that 1922 was his happiest year at University College, because he had found an exciting new interest in anthropology. In his free time, he examined the comparative brain collection at the Royal College of Surgeons and was gradually drawn in by Elliot Smith's efforts to make a new reconstruction of the Piltdown skull. In this exciting environment, Dart exercised his "unflinching forthrightness" by advocating, along with his colleague and close friend Joseph Shellshear, heretical ideas about how nerve cells originate in embryos. Although these two established something of a reputation for being the department's enfants terribles and some of Dart's other early research contributed to an impression that he spurned authority, Dart loved his job. His fascination with neuroanatomy grew, and he would later describe Elliot Smith as "the master, at whose feet I was privileged to sit." Another factor that contributed to Dart's contentment was his marriage in 1921 to an American medical student named Dora Tyree. After having reached the zenith of his dreams and returning to London from a brief tour of Europe in 1922, however, Dart's life took an unexpected and unwelcome turn. "This Elysium of an infinitude of neurological problems for settlement from the combined historical, embryological, histological, and gross comparative anatomical points of view, and with all the means of displaying them accumulating under itching fingers and brain, was rudely shattered ... by Elliot Smith's serious suggestion that I should apply for an anatomical chair fallen vacant in the newly-established University of Witwatersrand in Johannesburg, South Africa, whose name I had never heard previously. The very idea revolted me; I turned it down flat instantly." He later recalled, "This strange idea of taking up a post in South Africa spelt banishment to darkest, bleakest Africa with neither the libraries nor laboratories of Europe, for whose benefits I had deserted Australia." Dart's refusal to apply for the position startled Elliot Smith, who tried to persuade his protégé of the opportunity. He urged Dart to consult with other colleagues, including the recently knighted Sir Arthur Keith, who might provide a more considered opinion. Out of respect for his mentor, Dart consented and met with "a strong unanimity of attitude.... Staying would be tantamount to a dereliction of duty. There was a dearth of British anatomists and Sydney was filling the gaps." Dart reluctantly applied for the position. Perhaps hoping to weaken his chances, Dart described himself as a "freethinker" in response to a question about religion. When he showed Keith the application, the elder anatomist asked, "Do you think that wise? I believe the atmosphere in South Africa is strongly Calvinistic." Dart declined to amend his application but, to his dismay, got the job anyway. The Darts sailed for South Africa shortly before Christmas 1922 and arrived in late January, just before Raymond's thirtieth birthday. The Medical School at the University of the Witwatersrand (affectionately known, to this day, as Wits) fulfilled their worst expectations. It had a general air of dereliction and lacked water taps, electric outlets, and gas and compressed air for laboratories. Dart's permanent staff consisted of one person who worked in the basement mortuary. The dissecting tables supported desiccated corpses draped in coarse burlap coverings. "Our first inspection," recalled Dart, "left my wife, whom I had taken from her medicine studies at Cincinnati, in tears-a woman's prerogative I rather envied at that moment.... It would be useless to deny that I was unhappy in the first 18 months. The abysmal lack of equipment and literature forced me to develop an interest in other subjects, particularly anthropology for which Elliot Smith had fired my enthusiasm." Dart felt as though he had been banished to a dismal place by his mentor and by London's anatomical aristocracy. Elliot Smith, on the other hand, was reveling "in his new role of king-maker," after having already sent Joseph Shellshear to be chair of anatomy in Hong Kong and Davidson Black to China, where he would later discover the fossil known as Peking Man. Packing Dart off to South Africa was consistent with this "missionary zeal." But Dart's ill feelings were not without merit. Reflecting about writing a recommendation for Dart for the South African post, Sir Arthur Keith later recalled, "I did so, I am now free to confess, with a certain degree of trepidation. Of his knowledge, his power of intellect, and of imagination there could be no question; what rather frightened me was his flightiness, his scorn for accepted opinion, the unorthodoxy of his outlook." Years later, Dart himself seemed sympathetic to Keith's view when he wrote in reference to an unorthodox publication on whale brains that he had authored in 1923, "Such a person, I can see now in retrospect, was not only controversial, but upsetting and potentially dangerous." Even if it appeared to Dart that the Piltdown committee had arrayed themselves against him, he viewed Piltdown as a legitimate fossil. In the meantime, the pieces of Piltdown I and II and associated planted tools and fossilized animals that had been discovered over the course of eight years (1908-15) would severely impede the study of human evolution for decades to come. Much speculation has been made about what sort of person would perpetrate such a fraud. The culprit had to have been knowledgeable, motivated, and lacking in scruples-someone selfish enough to rob prominent paleoanthropologists of time and effort by deliberately distracting them from more legitimate research. Ultimately, the perpetrator stole the self-respect of the supporters of Piltdown who lived long enough to learn that they had been duped. Scholars have been divided on the question of whether Dawson acted alone or had one or more accomplices in the forgery. Over the years, at least 21 individuals have been identified as suspected accomplices, including the French priest Teilhard de Chardin and the celebrated creator of detective Sherlock Holmes, Arthur Conan Doyle. Most of these individuals are no longer serious suspects. A more recent revelation has pointed in the direction of Martin Hinton, a volunteer in the British Museum of Natural History at the time of the incident. Hinton, who specialized in studying fossil rodents and was known to have a keen interest in hoaxes, joined the staff of the museum's zoology department in 1921 and rose to the rank of keeper of zoology by 1936. In 1978, 17 years after Hinton's death, a trunk bearing his initials was found in the loft above his old office. Ten mammalian bones that had been stained and (in some cases) whittled in the same fashion as the Piltdown bones lay at the bottom of the trunk. Hinton's estate also yielded remains of eight human teeth that had been stained with a second method used to alter some of the Piltdown remains. Evidently, sometime in 1908, while working the gravel bed at Barkham Manor, an object resembling a "coconut" was accidently shattered by a labourer's pickaxe. A fragment of the "coconut" was retrieved and later handed to Dawson who identified it as a portion of a thick human cranium (left parietal).... According to Dawson's recollection of this venture, they found only "pieces of dark brown ironstone closely resembling the piece of skull." turned up a strange bone; it was about the size of a large coconut-not the green outer part, but the dense, hairy seed itself-and it was similar in shape to half of a coconut that had been split longitudinally, except that the fossil was more pear-shaped than ovoid.... It was a dark rich chocolate brown in colour and thoroughly fossilized, heavy with the stony matrix that encrusted many surfaces.... They packed the fossil ... with the others from the last few weeks' work, and sent it off to Dubois. This possibility fits with the suggestion that doctored artifacts that were salted in the Piltdown gravels, such as an elephant bone that had been carved to look like a cricket bat "(a fitting accoutrement for the 'first Englishman')," were part of an elaborate joke gone awry. Certainly, the Piltdown committee was well aware that Pithecanthropus was considered by many to be a missing link that bridged the gap between apes and humans when the Piltdown "coconut" was discovered around 1908. In fact, Arthur Keith, at the dawn of his career, was present when Dubois defended his interpretation of Pithecanthropus at a meeting of the Royal Dublin Society on November 20, 1895, where he was "the only scientist to come close to wholeheartedly endorsing Dubois's interpretation." (Keith would later change his mind by favoring big-brained Piltdown Man as the direct ancestor of modern humans to the exclusion of Pithecanthropus, whom he relegated to a "small-brained ... survival from some earlier phase of evolution.") Keith and two other members of the Piltdown committee, Grafton Elliot Smith and Arthur Smith Woodward, also attended the Fourth International Congress of Zoology in Cambridge, England, during the summer of 1898, where Dubois defended his missing link and presented detailed new information about Pithecanthropus's skullcap and brain. It therefore seems likely that they and others who attended the congress (possibly including Dawson and Hinton) were aware of the history behind Dubois's discovery, including the "coconut" story. The Piltdown incident exposed a tendency among supposedly objective evolutionary scientists to pressure one another into accepting mainstream (or what they hoped would become mainstream) views. Thinking too freely was frowned upon, as Raymond Dart would soon learn. As he and Dora spent that bleak Christmas of 1922 journeying to South Africa, Dart had no way of knowing that his unorthodoxy and outspokenness would unleash an intense controversy over a new discovery that was destined to rile the Piltdown committee and become the most important anthropological fossil of the twentieth century. Two discoveries of early human relatives, one in 1924 and one in 2003, radically changed scientific thinking about our origins. Dean Falk, a pioneer in the field of human brain evolution, offers this fast-paced insider’s account of these discoveries, the behind-the-scenes politics embroiling the scientists who found and analyzed them, and the academic and religious controversies they generated. The first is the Taung child, a two-million-year-old skull from South Africa that led anatomist Raymond Dart to argue that this creature had walked upright and that Africa held the key to the fossil ancestry of our species. The second find consisted of the partial skeleton of a three-and-a-half-foot-tall woman, nicknamed Hobbit, from Flores Island, Indonesia. She is thought by scientists to belong to a new, recently extinct species of human, but her story is still unfolding. Falk, who has studied the brain casts of both Taung and Hobbit, reveals new evidence crucial to interpreting both discoveries and proposes surprising connections between this pair of extraordinary specimens. Dean Falk is a Senior Scholar at the School for Advanced Research in Santa Fe, New Mexico. Her previous books include Finding Our Tongues: Mothers, Infants, and the Origin of Language and Braindance, Revised and Expanded Edition: New Discoveries about Human Origins and Brain Evolution.